I never drank coffee until I got Sarcoidosis and I went to an Ayurvedic practitioner who told me that there is a chemical in coffee that helps with breathing. Now I have a cappuccino every day around 3:00 pm, my major sleepy time. I own a Nespresso machine which to me makes the best cappuccino in the world, but when I am out I usually get a Starbucks. Today I went to a Panera's as I was not near a Starbucks and the barista, after making my coffee, placed his entire hand over the cover to press it down. That always gets me pissed. 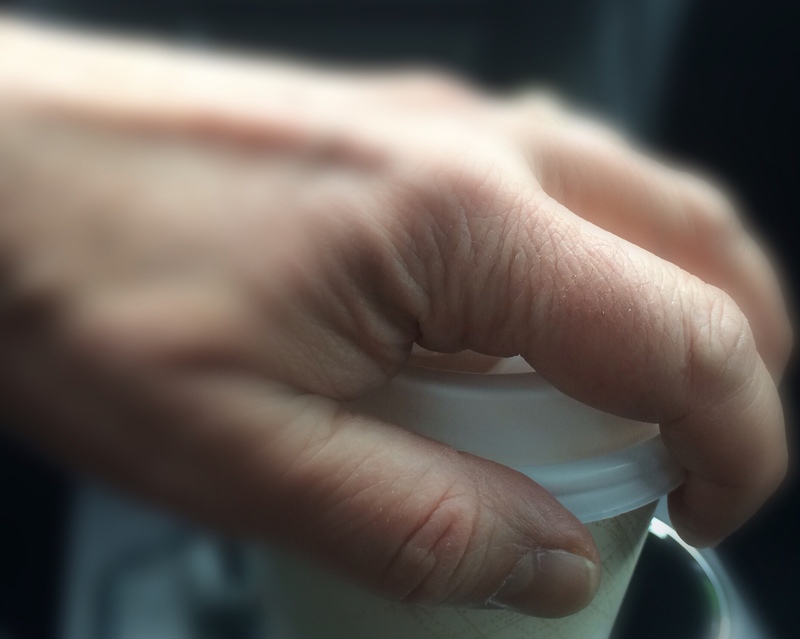 I am a bit of a germaphobe, and the fact that this person just placed their grimy hands right over where I am going to sip, well, it grossed me out. Rather than make a scene by asking for a clean cover I learned a couple of strategies. First I have a sanitizing wipe to wipe off the cover before I drink from the cup. If I don't have a wipe, or as in the case today where the barista placed his entire hand on the cover, I scope out where the covers are and sneak a clean one away and exchange it. If I can't get the clean cover as I can't reach it discreetly, I ask for a new cover, and look to make sure they are just holding it by the sides, which they usually do. And if all else fails, I throw the cover and just drink from the cup rim. There are so many unhygienic actions that people serving food do that just really drives me up the wall, the list of which I need for a separete post. I just wish that baristas will learn that they can just press down on the sides of the cover of a coffee cup, and that they don't need to press over where I have to put my mouth.